Mrs. Fitriyani was graduated from meteorology and geophysics department, faculty of mathematics and natural sciences, Bogor Agricultural University. 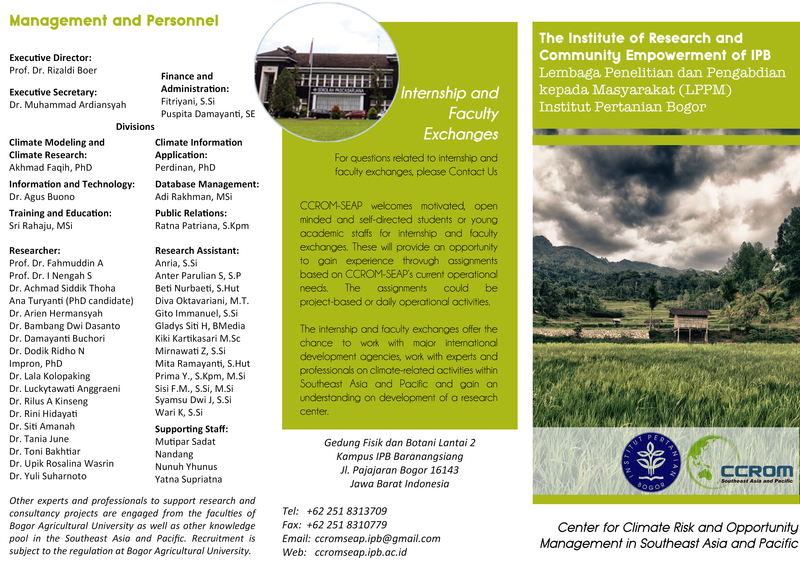 Fitriyani began her career working as a research assistant in the Laboratory of Climatology, IPB from 2007 to 2009. She’s started working at CCROM SEAP as the administration and financial staff since 2009. 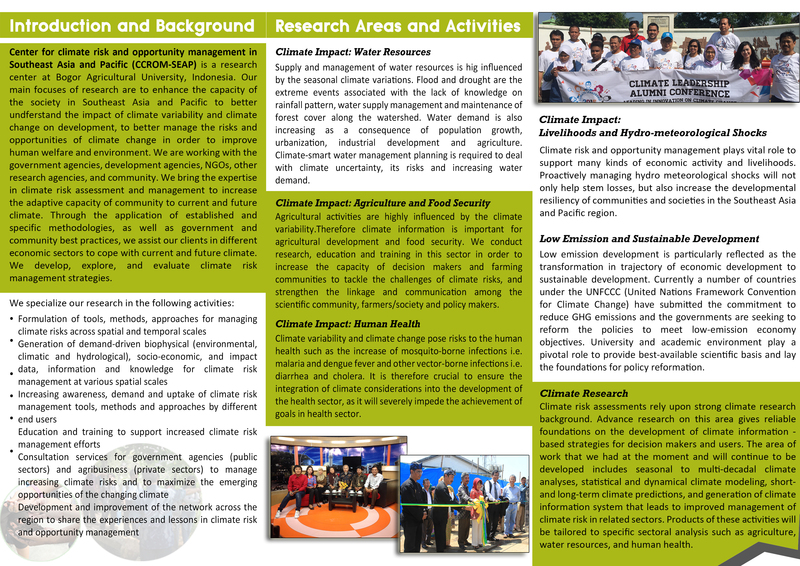 In CCROM, Fitriyani was also helped several research studies includeing Indonesia Preparation Document Second National Communication in Health Risk Levels of Dengue Fever and Malaria due to Climate Change (collaboration between IPB, Research and Technology and the Ministry of Health). She also attended several administrative and financial training such as Dissemination of Financial Statements and Financial Management Accounting System Application IPB (2010), Socialization of Financial Management (2011), and Implementation of Web-Based Accounting Applications (2011).